The prevalence of the machine gun during the First World War can be borne out by how quickly the Machine Gun Corps grew. At the start of the war each infantry battalion had two Maxim guns, each served by one officer and 12 other ranks. The Maxims were replaced by Vickers and the Machine Gun Corps as a separate entity was formed in October 1915, and by the end of the war over 170,000 men had served in its ranks, with 62,000 casualties. It was no wonder it was nicknamed the ‘Suicide Club’, although this seems to have been a sobriquet worn with pride by many who served in its ranks. This account was first published 1973 for the Machine Gun Corps Old Comrades Association. It was first reprinted by Pen & Sword in 2005, but this is a timely reprint and one that provides a great deal of insight into the Machine Guns Corps during the war. This is not a full account of the history of the MGC, but as the title suggests a more personal look at the experiences of the men who served in it. The book is loosely structured chronologically and by theatre of war, as such covering not only the western front but also Salonika, Mesopotamia, and Gallipoli. Machine guns were, for example, used in the defence of the Suez Canal and to support the troops trying to disembark from the SS River Clyde during the Gallipoli landings. Naturally accounts from the Somme, Arras and Passchendaele are included. Most accounts are brief, but range from a few paragraphs to a few pages in length. Personal testimonies are supported by accounts from other sources, for example the published history of the 3rd Battalion MGC. 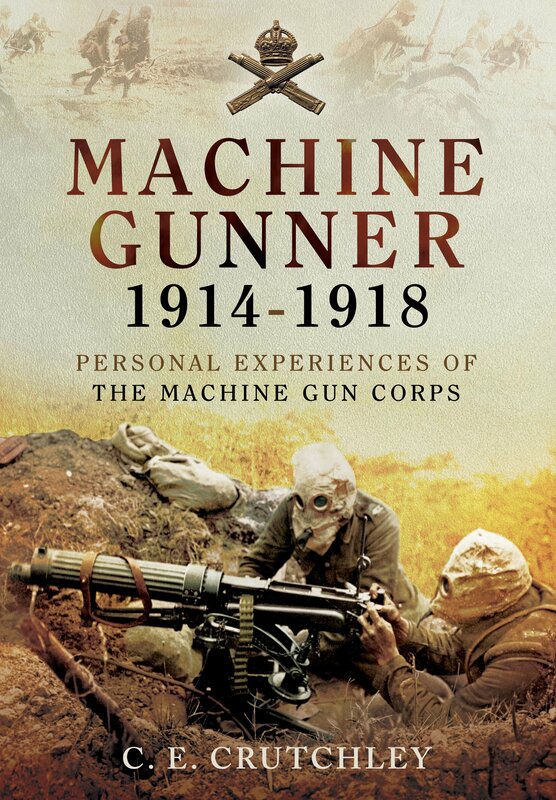 The accounts provide a wealth of detail about the life of the machine gunner as well as the devastating impact that the guns could have. For example on August 24th 1916, during an attack on Delville wood, ten guns of the 100th Battalion MGC fired almost one million rounds between them. Similarly during the Battle of Messines in June 1917, 280 machines guns were directed onto the German frontline and second line trenches. The combined rate of fire of these guns was 100,000 rounds per minute. For the researcher the book usefully contains an index of units mentioned, as well as names of the principal contributors. This is of course not the only book about machine gunners in the war – in fact I have reviewed several on these pages – but it is the only I have seen that draws together so many personal accounts in one place. Yet it is as much an account of day-to-day life during war as it is of machine gunners specifically. The men whose accounts are printed recall anecdotes of humour, boredom, drudgery and comradeship. Whilst this book might not quite be as classic as the peerless ‘With a Machine Gun to Cambrai’ by George Coppard, nevertheless it is a worthy addition to the library.